Aisha Buhari Cry Out- See Why - SWANKYLOADED OFFICIAL BLOG. 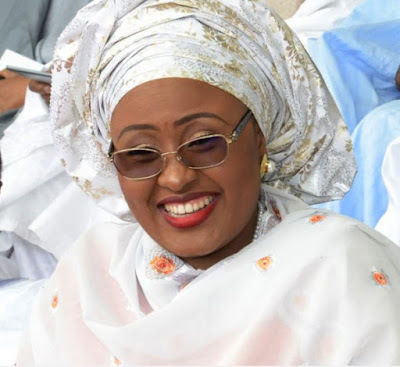 Dr. Aisha Buhari, the Wife of President Muhammadu Buhari has claimed that two powerful personalities were frustrating President Muhammadu Buhari’s effort. Mrs. Buhari spoke at a conference organized by Project 4+4 in Abuja yesterday, December 4th. She, however, failed to mention the names of the powerful persons.